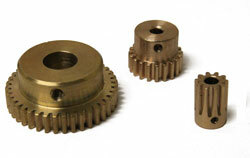 A range of brass spur gears in 0.8 mod pitch. 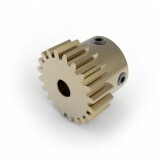 These gears are suitable for many applications from model making to robotics and light industrial use. 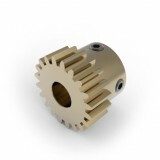 Most of these gears come with a choice of two bore sizes, and even more bore diameter options are available when they are combined with our bore reducers. 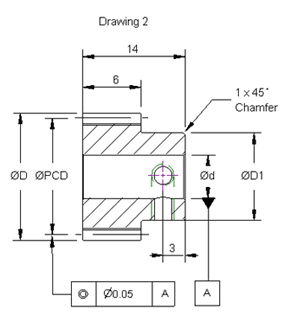 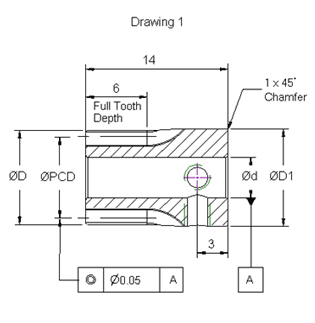 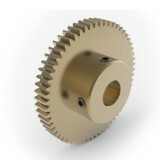 A link to the matching bore reducer(s) for each gear size is provided in the table below. 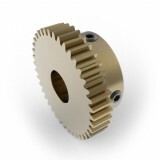 These 0.8 mod pitch gears are effectively a metric equivalent to 32DP imperial pitch gears, for which they can generally be substituted, and they can normally be run together in combination. 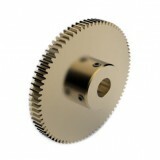 Note: All gears are fitted with grub screws. 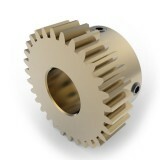 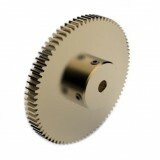 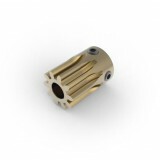 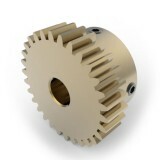 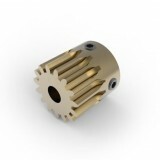 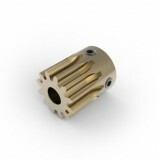 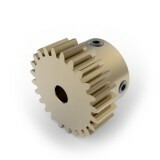 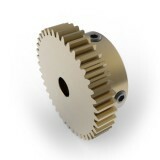 Select from our range of 0.8 mod gears below. 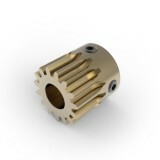 0.8 Mod Spur Gear, 10 T, 4mm Bore ..
0.8 Mod Spur Gear, 12 T, 4mm Bore ..
0.8 Mod Spur Gear, 15 T, 4mm Bore ..
0.8 Mod Spur Gear, 15 T, 6mm Bore ..
0.8 Mod Spur Gear, 20 T, 4mm Bore ..
0.8 Mod Spur Gear, 20 T, 6mm Bore ..
0.8 Mod Spur Gear, 24 T, 4mm Bore ..
0.8 Mod Spur Gear, 24 T, 8mm Bore ..
0.8 Mod Spur Gear, 30 T, 6mm Bore ..
0.8 Mod Spur Gear, 30 T, 10mm Bore ..
0.8 Mod Spur Gear, 40 T, 6mm Bore ..
0.8 Mod Spur Gear, 40 T, 10mm Bore ..
0.8 Mod Spur Gear, 60 T, 10mm Bore ..
0.8 Mod Spur Gear, 80 T, 6mm Bore ..
0.8 Mod Spur Gear, 80 T, 10mm Bore ..